Founded by Vin DiCarlo in 2005, DiCarlo Coaching (formerly named DiCarlo Diclassified) has quickly grown to become one of the larger dating companies in the U.S. It's advice and coaching are focused on helping students to develop a stronger inner game and mindsets that enable them to attract women. They teach less external techniques than the majority of other dating companies. DiCarlo Diclassified teaches 'inner game' and 'natural game'. All of its products and coaching focus primarily on teaching students new mindsets to attract women. Vin DiCarlo founded DiCarlo Diclassified when he split from TheApproach where he had been working for his original mentor Sebastian Drake. Thanks to a combination of original content, Vin DiCarlo's work on creating a number of different products quickly and strong internet marketing the company grew to become one of the main dating companies in the market relatively quickly. 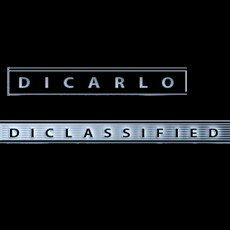 Today DiCarlo Diclassified has a large fanbase, and continues to focus more on products than dating coaching (relative to its peers). Help us improve this profile of DiCarlo Coaching by sending us any information you believe to be missing, wrong or lacking detail. Please state sources where possible to make our job easier to verify the correctness of the information.